Not too shabby to start the day off! Oh and before I forget, we let everything go that day. I’m pretty wary of eating eel from Pillar Point now, as I’ve gotten mixed tastes from eels I poke pole’d up. The first couple I tried eating were delicious, but then I got a string of ’em pocket fishing that tasted super muddy. You know what muddy smell horseneck clams have? The smell from the mud that’s revealed at low tides? I SWEAR I had a few eel turn out tasting exactly how that smell tastes. I’m like 80% sure I didn’t break any of the guts while cleaning the eel too; no idea what’s up with that. Pallavi, my coworker, managed to land her own tricky eel too! Remember this picture from the start of the post? That’s about all I’ve got time to blog about for now (as its getting late and I have to move a couch tomorrow for my parents… @_@). I didn’t think to ask what everyone was using for bait. I’d guess mostly squid & anchovy. Seems crabbing is somewhat spotty & slow, but its at least somewhat consistent! If you’ve got some free time during the upcoming holidays its probably worth it to get out, catch a few crab, and do some poke poling! Happy holidays & a happy new year if you don’t hear from me before then! If the weather works out and Ankeny Street is still running, I’ll be trying to go out 12/23 (Friday) for one final trip for rock cod & hopefully dungeness crab (if he still has crab gear out)! And with that, I’m signing off! Thanks for coming out to play! 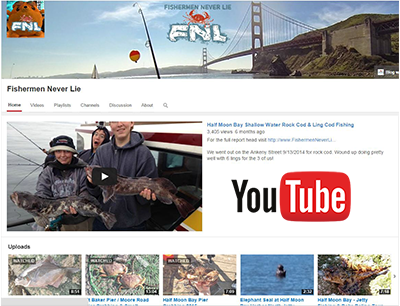 Previous PostGUESS WHO’S BACK oh and also a fishing report for Santa Cruz/CapitolaNext PostHalf Moon Bay Pier Fishing for Rock Cod with Trout Poles!